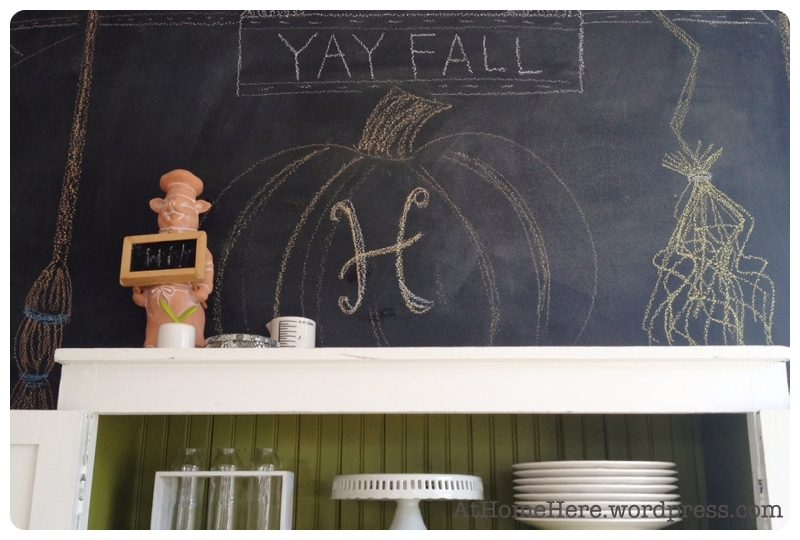 I love fall – and as we’re getting dangerously close to moving onto Christmas at our house so I wanted to share our little fall projects. 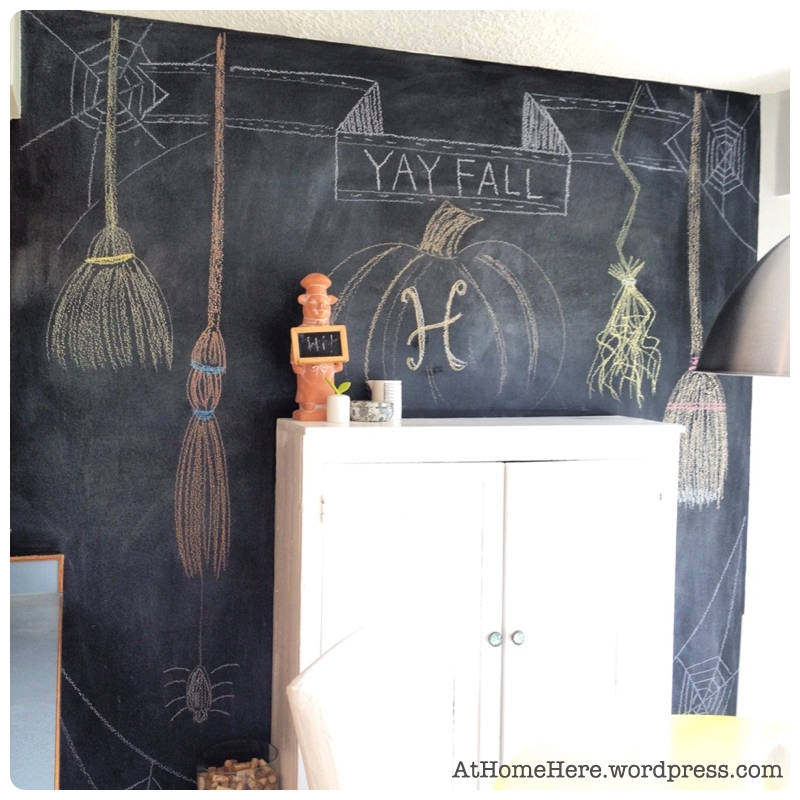 You’ve seen the fall mantle already, but isn’t this chalkboard wall fun? I totally and completely stole borrowed the idea from Michael at inspired by charm (somehow found his blog a couple of months ago and have since then developed a little style crush). 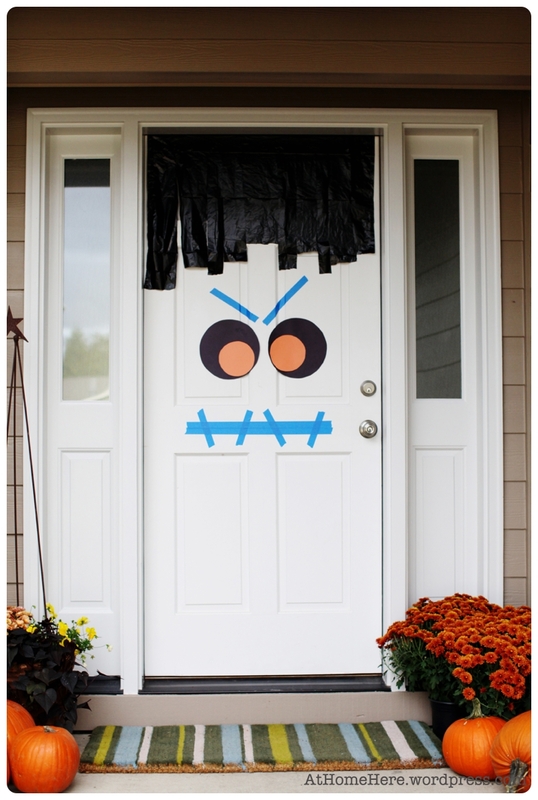 And we have Pinterest to thank for this door . 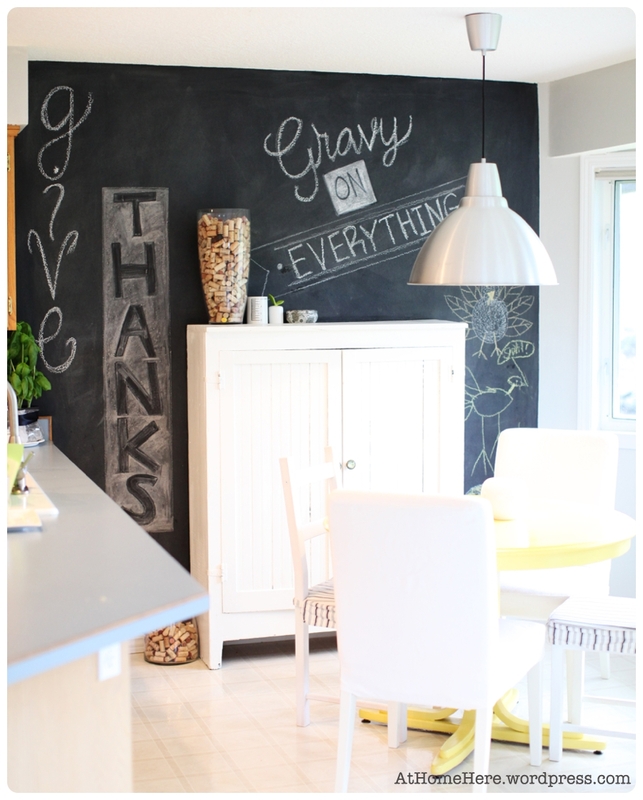 . .
And while this Thanksgiving wall will be short lived the boys like the wall right now – especially the gravy part. On the right above is my little turkey, Logan’s turkey and Josiah’s pie. And you might notice below the fun new dining light -it took some convincing but I finally talked Zac into it.